Since you’re here, we’re assuming that you need to get a copy of your HPD accident report (or an accident report from another Texas police department). The best way to get a copy of the Houston Police Department accident report for your accident is by purchasing it online from the Texas Department of Transportation, here. Just provide the details of your accident, and we’ll go track down your Houston accident report and email it to you. The Texas Department of Transportation (or “TxDOT”) maintains an archive of all crash records for the State of Texas. Texas law requires any law enforcement officer who, in the regular course of duty, investigates a car accident that results in injury to or death of a person or damage to property in excess of $1,000 or more, to submit a written report to TxDOT no more than 10 days after the date of the crash. See Texas Transportation Code §550.062. TxDOT collects crash reports from every law enforcement agency in Texas. TxDOT maintains records about car accidents that occur on any public roadway in Texas, not just those that occur on the state highway system. 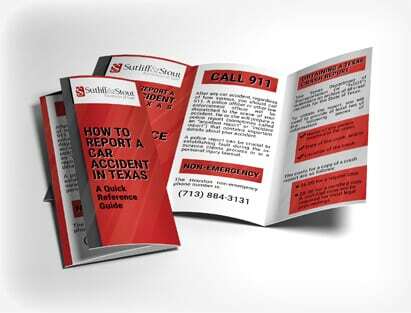 If you were involved in a car accident and a law enforcement officer filed a report about your accident, you can obtain a copy of the report through the Crash Reports and Records section of the TxDOT website. $6.00 for a regular copy. $8.00 for a certified copy. A certified copy will be required for most legal proceedings. You can also obtain a crash report over the phone or by mail. If you did not call 911 from the scene of your car accident, you should call the non-emergency police number to report your accident as soon as possible. You can speak with a member of the Houston Police Department and explain what happened. Be sure to give the police as much information as possible about the accident. 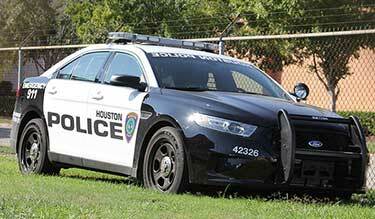 To reach the Houston Police Department’s non-emergency line, call (713) 884-3131. You can also visit their website for more information. If you have questions about your car accident, a car accident lawyer can help. To discuss your case, call Sutliff & Stout at (713) 987-7111 or contact us online today. Should I Hire a Lawyer for a Car Accident that Was Not my Fault?